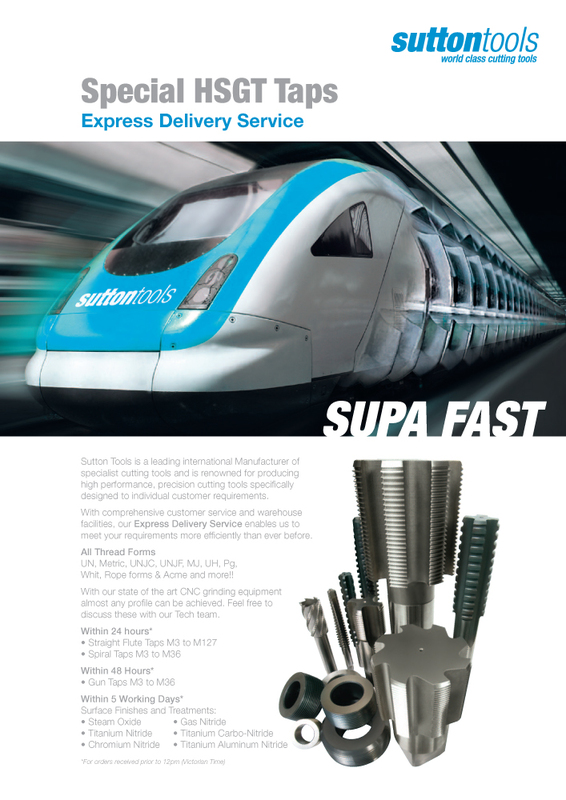 Sutton Tools is a leading global provider of specialist cutting solutions. 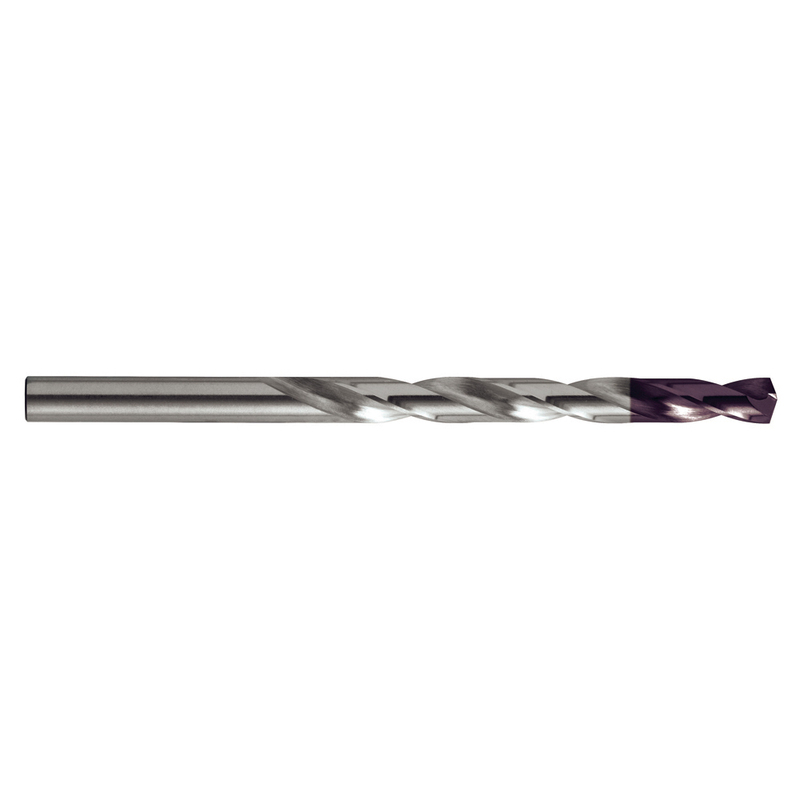 Sutton Tools use state-of-art CNC tool grinding equipment, and manufacturing processes to produce specialised cutting tools, distribute to industries such as plumbing, electrical, automotive, aerospace, marine, transport, construction, surgical, manufacturing and agriculture. 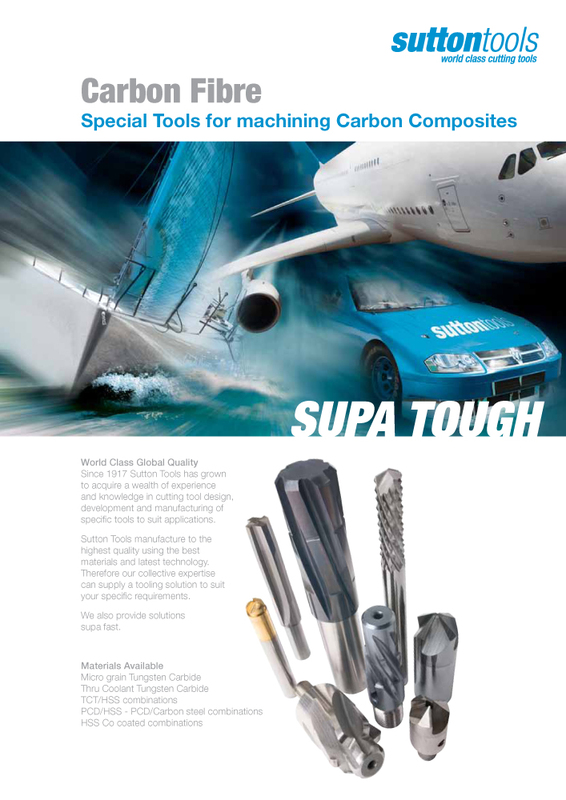 We use only the very best European grades of materials including powder metallurgy, HSS cobalt and ultra-fine grain carbide. Materials are complimented by the latest generation of thin film PVD coatings, providing many advantages in tool life, component surface finishes and the ability for the tools to operate in low or minimum coolant environments, making them more environmentally friendly. All tools are subject to stringent quality and performance checking and testing to ensure best results. Our customers can benefit from the advantages of our reliable cost effective world’s-best practice manufacture, supply and support capabilities, now and well into the foreseeable future. 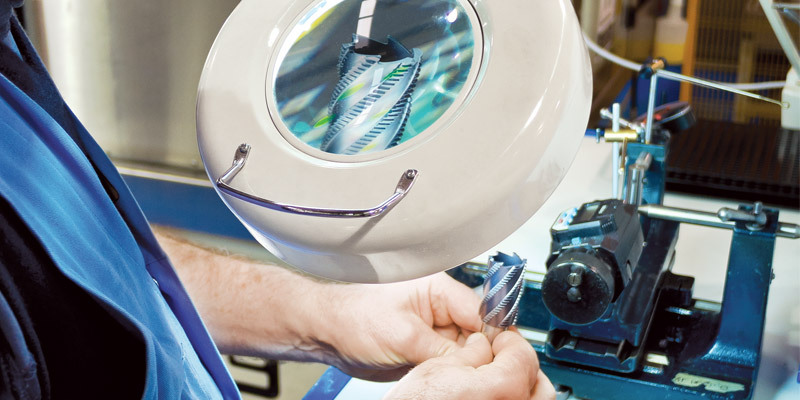 Our Special Tools division offers express service on non-standard taps and other cutting tools.